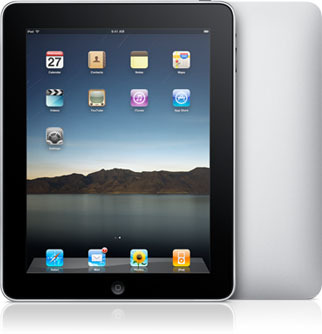 Byways Magazine has announced it will provide Apple Ipads free of charge to all qualifying Byways advertisers in 2011! In a promotion unlike any other in the industry, Byways will supply all Byways 3x Full Page Contract Advertisers and all 4x 1/2 Page Contract advertisers in 2011 with a free 16GB Ipad WiFi Ipad! •Why? In 2010, after 27 years of print publishing, Byways moved into the digital world with on-line Turn-Key distribution to 4000+ group tour planners and 20,000+ travel agencies. The world is changing, and unless our advertisers have access to devices like the Ipad, which we believe represent the future of publishing, it will be difficult to make advertising buying decisions in favor of digital publications like Byways. •Did you raise your 2011 rates for this program? No, we retained our 2010 advertising rates, already the lowest in the group tour industry. A 3x full-page, 4-color advertisement remains just $749.00 per insertion. A 4x 1/2 page insertion remains just $449.00 per insertion. •When do we get our Ipad? Ipads will be distributed to advertisers who pre-pay their contracts immediately upon receipt of payment. 3x advertisers who pay per insertion, will receive their Ipad after the second invoice is paid. 4x advertisers who pay per insertion will receive their Ipad upon payment of the third invoice. •Is there a limit on the number of Ipads available in this program? No, it is available to all Byways advertisers in 2011. •How do we place our orders? A one-page Byways PDF Byways 2011 Digital Media Kit is attached, as well as a Byways Contract & Mechanical Specs. Simply select your insertion order dates and fax back to Byways at 540-477-3858 FAX. For additional information, call 1-800-469-0062.